Johnny Depp recently pulled a Kavanaugh and started ranting against his assault victim. 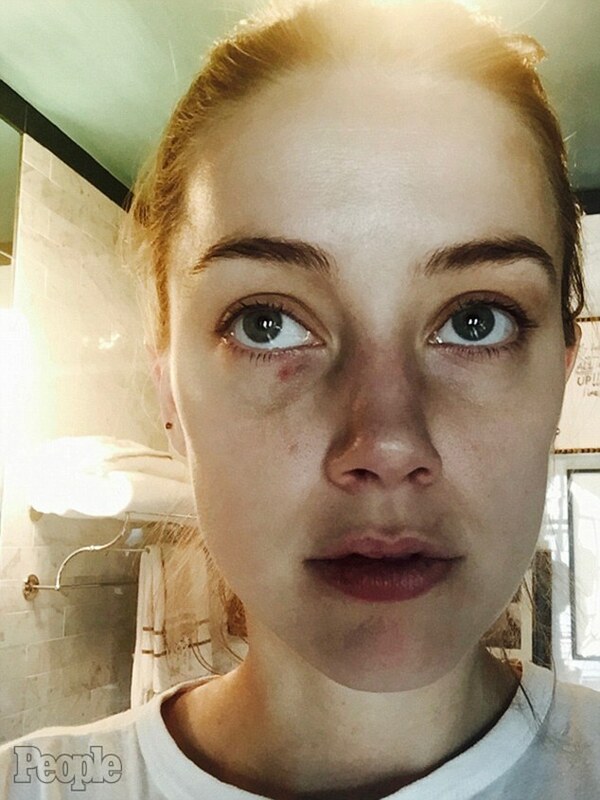 On 2016, Amber Heard settled her domestic abuse lawsuit against ex-husband Johnny Depp. However, Depp has always maintained his innocence. Photos of Amber’s bruises are all over the internet, so that is very clearly a lie. And, as we know, there are many reasons why a victim may not want to go to the hospital and get checked out, especially if the victim feels intimidated and scared of her attacker. Wow. Depp’s defensiveness reminds me of Kavanaugh’s recent testimony in which he erupted with anger. Both men are only digging themselves deeper by yelling and lying and frankly, coming off as crazy people. It’s this kind of behavior that only makes me more convinced that Johnny is guilty of domestic abuse. More recently, Depp was accused of physical assault. A crew member on the set of his movie City of Lies said the actor punched him twice. Depp has denied those claims as well.